Škoda is being made for the Geneva Motor Show with two model, where they are presented the facelite Fabia and the Kodiaq Laurin&Klement models. The Laurin&Klement equipment line is named after the company's founders Laurin and Klement, and this is the higher level of equipment for bigger models, such as Octavia and SuperB. 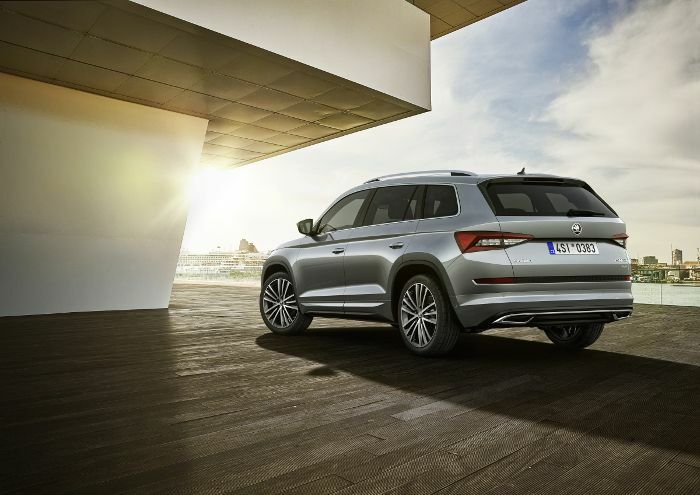 The new Škoda Kodiaq Laurin&Klement among other things, a chrome grille, 19-inch alloy wheels and modified rear bumper round off its stylish appearance. The engine range is also renewed the dynamic petrol and diesel engines, as well as front or 4×4 drive, ensure powerful propulsion. 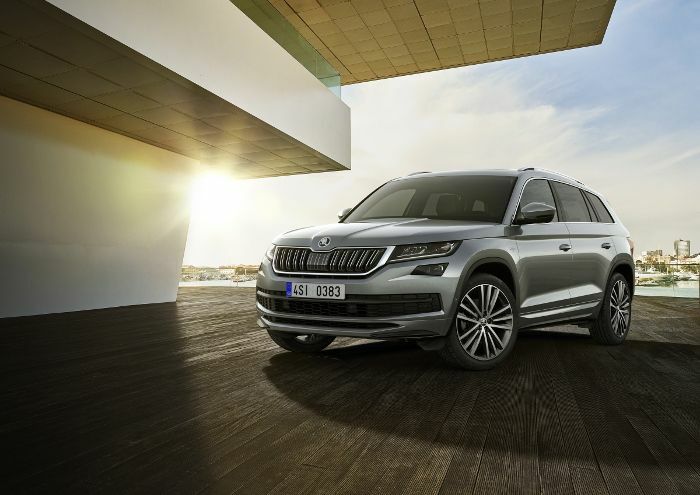 With the Kodiaq L&K debuts with the new 1.5 TSI turbocharge engine in the Kodiaq offers, which produces the same output as the current 1.4 TSI engine with 150 hp, as well as the 2.0 TSI turbocharge engine became stronger with 10 horsepower, so already it produces 190 hp for the sizable SUV. The new petrol drivetrains feature particulate filters to reduce particulate emissions. The latest generation 7-speed DSG for petrol engines and the 2.0 TDI engine with 110 kW (150 hp) are also making their debut. The stronges diesel engine of supply the 2.0 TDI with 190 hp, what I’ve tested before in the Kodiaq and the SuperB Laurin&Klement models. The two strongest engines come with 4×4 drive as standard and is available as an option for the other two. The all-wheel-drive variants of the ŠKODA KODIAQ L&K also have Adaptive Chassis Control DCC (Dynamic Chassis Control) as an option. The KODIAQ L&K complements the outstanding qualities of the large SUV in terms of versatility and space with an elegantly stylish touch. It adds to its external appearance the 19-inch ‘Sirius’ alloy wheels, full LED headlights, a grille with vertical slats and chrome trim as standard. The front wheel arches feature badges with the words ‘Laurin & Klement’, as well as in the interior ont he seats and the dashboard. The appearance of the interior is enhanced with a three-spoke multifunction leather steering wheel, optionally available in black or beige leather trim. The logo returns on the home screen of the infotainment system. The standard equipment also includes an electrically adjustable driver's seat including memory function, door sills, which bear the ‘KODIAQ’ model logo, aluminium pedals, textile floor mats, a rain sensor, an auto-dimming rear-view mirror, ambient lighting, the CANTON sound system and much more.